“‘I wonder why they are taking so long’ I said to my husband as we waited in the hospital room for the nurse to bring our newborn baby girl back from her checkup. We were elated that everything went smoothly and were chatting with friends who were taking care of our two older children and had brought them to meet their new baby sister. What I heard next changed everything. I had created a vision of what my perfect family would look like. A new baby girl was the cherry on top of an already yummy sundae picture. ‘Have you ever heard the term Down syndrome?’ asked the doctor. I went numb and could see his lips moving, yet didn’t hear another word. He left the room and I began to sob. How could this be? 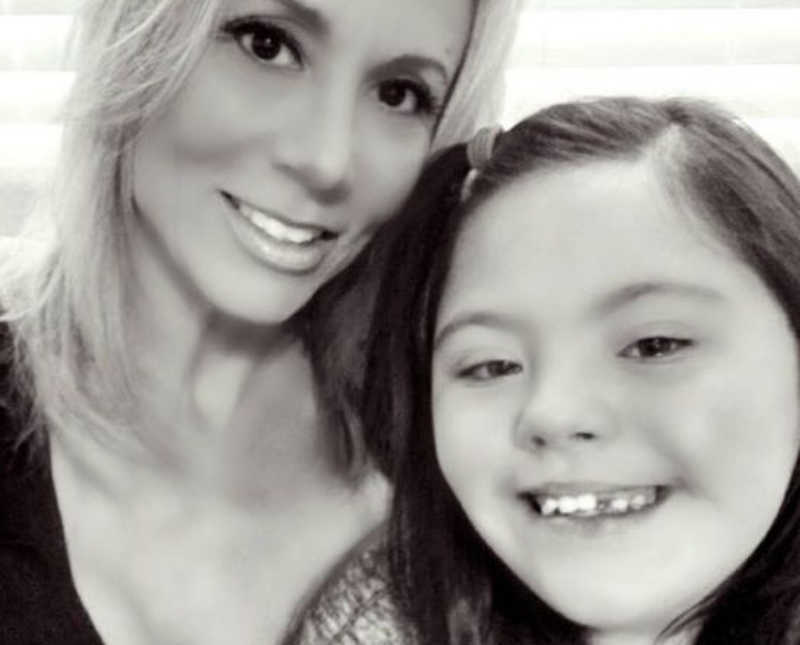 My ultra-sound nurse who looks for signs told me the baby DID NOT have downs syndrome. The nurses and the delivery doctor didn’t notice anything different. All was perfect a moment ago. I cried for hours. As a 38-year-old woman, I had shed a few tears in my life. None compared to this feeling of deep, soul level sobbing. This lasted for hours and all I could say was ‘I don’t know what to say.’ My oldest daughter was 8 and was following my cue. She was crying and asking if her new baby sister was going to die. Looking back I know the deeply painful sobbing was for two reasons. 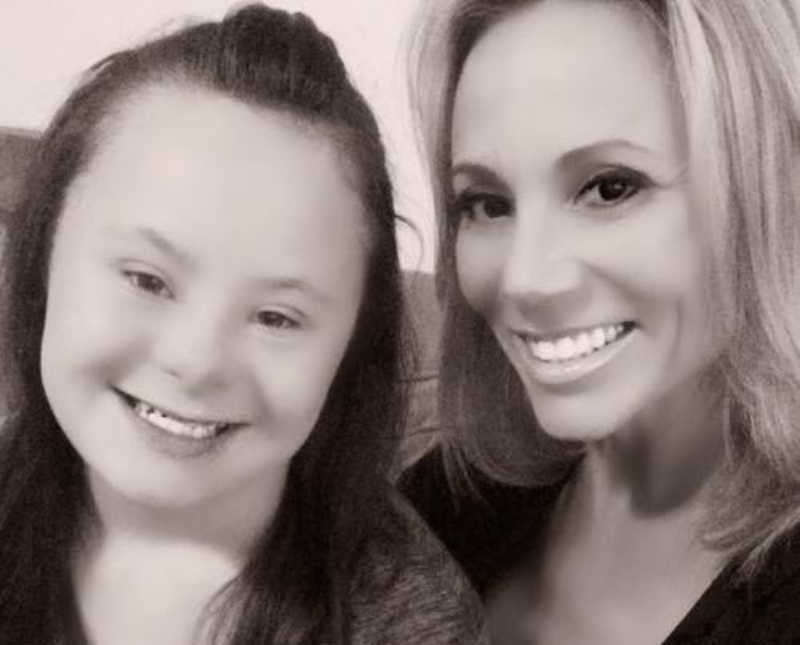 One, my expectation for the new family addition and my image of perfect had changed and two, I knew nothing about Down syndrome and was terrified. The doctor returned after awhile and sat down to talk with us. He told us how different our new baby would be. We were given the list of physical ailments we could expect, developmental delays that were sure to happen and a laundry list of things our baby girl would never be able to do. As a new parent of a special needs child, I didn’t doubt his words. I knew nothing about the condition so took his words to be wise and matter of fact. The usual joy and elation a new mother feels was shattered. My first two baby births left me feeling a high that an artificial drug could never replicate. They were blissful and I had expected this day to be the same. Had I been educated and known the truth about Down syndrome, it would have been. I learned that day that most of us never know about other peoples pains, heartaches, conditions or symptoms until they affect us personally. Then we google until 3 AM every night to learn about our new life’s journey. Our time in the hospital passed quickly and we needed to leave. My husband went to fetch the car and a nurse pushed me in a wheelchair to meet him at the hospital front door. After latching my newborn in her car seat the nurse looked at me and asked, ‘are you going to keep her?’ I was stunned. Through all the tears, the fear and the questions I still had, not for a nano-second did I consider giving my child away. As I got in the vehicle the nurse held my door and said, ‘good luck.’ As we drove away I felt a strength bubble up inside that I can still feel tangible to this day. I made a vow I would never allow anyone to disregard my child as ‘not enough’ or ‘flawed.’ She was and still is perfect. Three months later I was pregnant. There was never a time I felt irresponsible for bringing another child into the world although I had just given birth to a baby with special needs. There were many others who didn’t feel the same and they had no problem giving their opinion. I didn’t care, however this time decided to use a midwife. I was going to forgo the hospital experience altogether and have my next baby at home. This did not please many people. I was considered unconventional. This really threw some of our closest friends and relatives into a worry fest. Fast forward 10 months later and baby #4 was born, a boy, at home, perfect and typical. I just wasn’t done. I wanted to have one more child and as a full time stay at home mom, I knew the workload would be huge, but I was up for it. My entire life was around cooking, cleaning, taking care of kids and making our house a home. I found myself intentionally pregnant one more time. This time, I wanted to do the whole thing by myself. No doctor, no ultrasound, no hospital, no midwife. So I did. The close friends and family were definitely not fans. My husband went along with it knowing when I make up my mind to do something, that’s it. It’s done. This pregnancy was beautiful. The birth was amazing. I only labored for one hour and let my body do what it needed rather than fight it’s natural desire to get the baby out. After an hour of labor my oldest daughter drew a bath, put on soothing music and grabbed the video camera. I got into the bath and two pushes later out came a foot. This baby was breach and thankfully two days earlier I had taught myself what to do in case this happened. I stood up and out came my beautiful baby girl. What would have been considered an emergency in the hospital was an easy fix at home. I had baby #5, a girl, beautiful and perfect. Already giving birth to a baby with Down syndrome, I knew what to look for. 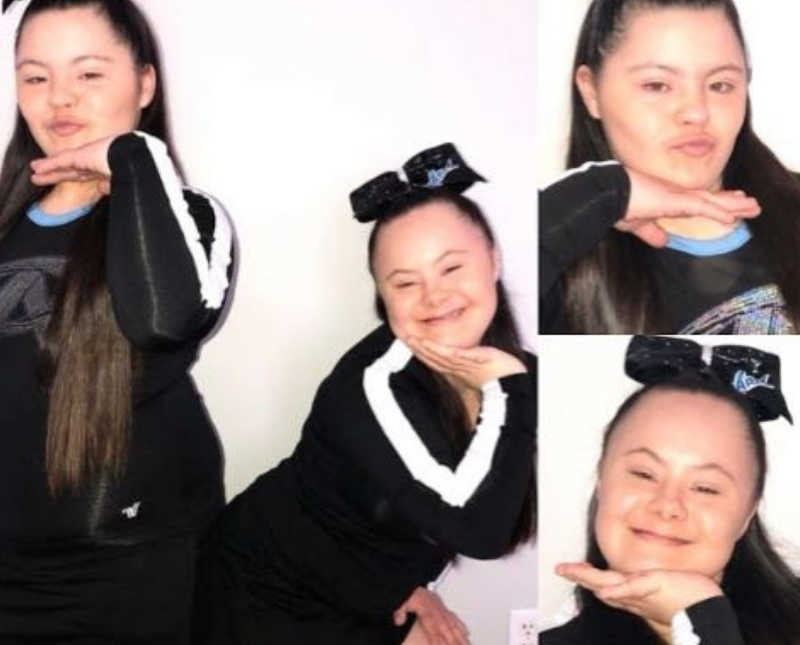 The physical signs were all present with my Down syndrome baby and I checked my newborn almost daily just to make sure she didn’t have any of them. There was nothing. She was perfect and we celebrated her and loved her. 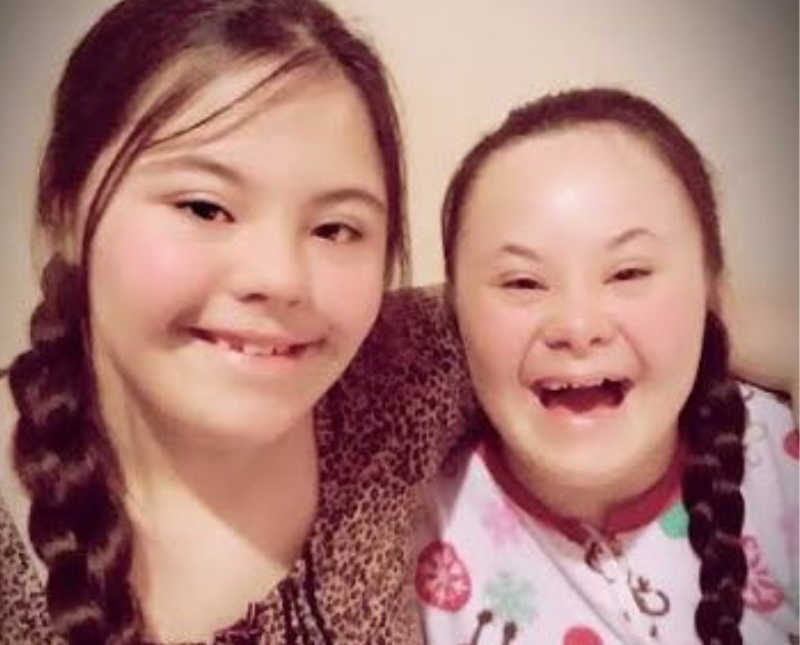 Although the doctor saw no signs that she had Down syndrome, after seeing her sister, she wanted to verify. My family was a bit anxious the next week. We anticipated the blood work coming back and the doctor giving us a call telling us it was all OK. That didn’t happen. Instead we were told our baby girl had Down syndrome just like one of her big sisters. Both my girls are healthy and have proven the doctor who testified to all the things to expect with a Downs child wrong. 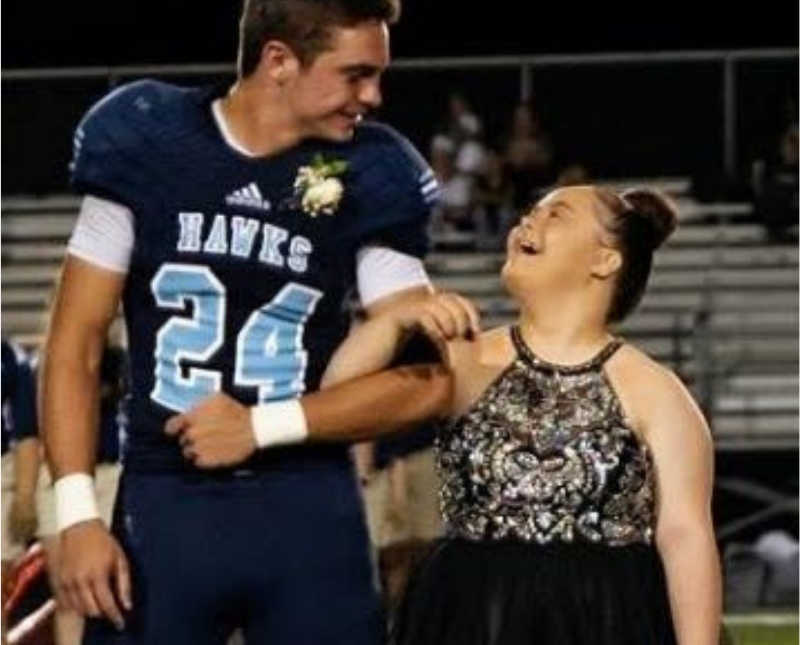 People with Down syndrome are more like the rest of us than they are different. The biggest difference I can tell besides the obvious is they are powerfully intuitive. I wish the doctor would have told me all the incredible things my baby would do. Things that are priceless. I believe he didn’t know and he followed textbook protocol. My daughters have taught me to have an inner strength when people stare at our uniqueness as a family and see it as others curiosity. They have taught my other typical children to include all beings as worthy regardless of physical appearances. They have taught my family happiness comes from within and isn’t dependent on outside circumstances. I often say my girls get excited to go shopping for a bottle of glue. It’s true. They see fun and adventure in everything. 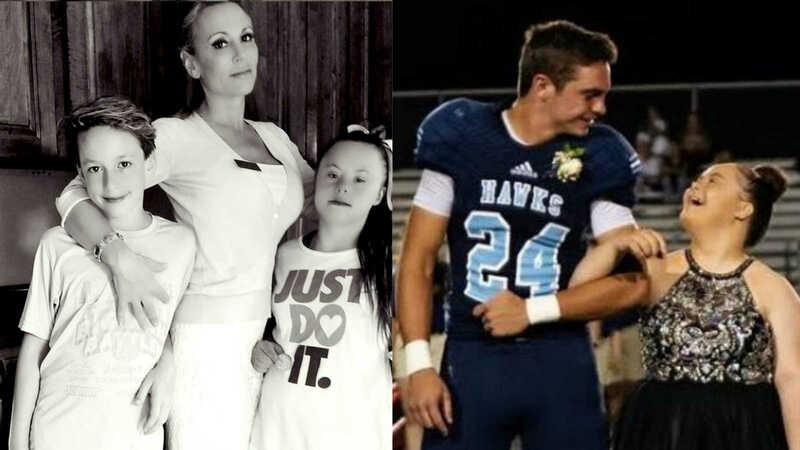 These are lessons I never would have learned had they not been blessed with Down syndrome. This story was submitted to Love What Matters by Rebecca Rogers. Follow her journey here. Submit your story here. For our best stories, subscribe to our free email newsletter. Acceptance of down syndrome, Baby with special needs, Beauty of Down syndrome, discovering Down syndrome at birth, Down syndrome, Down Syndrome Advocate, Down syndrome is beautiful, Down syndrome is perfect, Down syndrome love, Down syndrome pregnancy, Inclusion for down syndroome, Not noticing down syndrome, Perfection of down syndrome, Should I keep my baby, should I keep my baby with Down syndrome?